The THUNDER Series speakers are designed to compliment any installation while delivering a full range sound experience for all types of music. 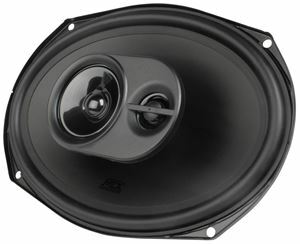 In order to get the most out of your music and hear it as the artist performed it, you need speakers that can reproduce the full range of sound frequencies. The TDX7X10 is a 7" x 10" 3-way triaxial speaker pair that can handle up to 125W RMS power. Extended low frequency reproduction for bigger, fuller sound. Concave cone design for improved off-axis response. Pivoting tweeter for improved imaging in any installation location. 15° swivel in any direction. 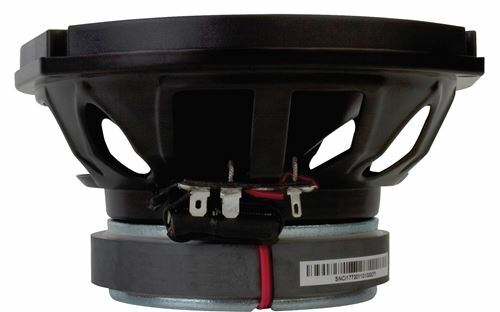 The TDX7X10 is a 7" x 10" 3-way triaxial speaker pair that can handle up to 125W RMS power. The TDX, Thunder Dome-Axial, Series speakers are designed to compliment any installation while delivering a full range sound experience for all types of music. In order to get the most out of your music and hear it as the artist performed it, you need speakers that can reproduce the full range of sound frequencies. The TDX7X10 also includes a 15 degree rotating tweeter to assist in obtaining the best imaging based on install location. The TDX Series offers the best full range sound reproduction of any speaker in their class with particular focus on low frequency reproduction where TDX speakers play much lower than other models allowing you to listen to great bass even if you do not want to install a subwoofer. 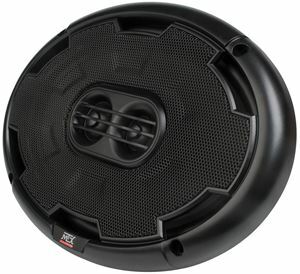 This speaker fits into any factory 6" x 9" speaker hole using the included adapter ring that will raise the height of the speaker to accommodate the increased speaker width.